The Things You Can’t Miss in Tauranga! With the vast Pacific Ocean views ever in sight, Tauranga couldn’t have a better waterfront location! 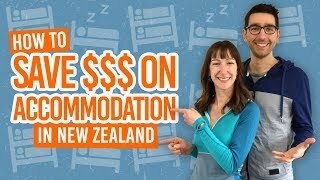 The fifth largest city in New Zealand is a popular place for travellers to experience, with its metropolitan vibe teamed with stretches of white sandy beaches. Tauranga has a vibrant art and dining scene while offering plenty of outdoors experiences from swimming with dolphins to climbing up the city’s isolated volcano. Check out the things you can’t miss in this list of Tauranga must-dos! Tauranga is the main hub of the Bay of Plenty region, making it a great base for quick road trips to some of the region’s hidden gems and must-see attractions. Within 30-minutes drive, you can be marvelling at waterfalls, kayaking under glowworms, hiking in the hills, doing a treetop obstacle course and much more! For more things to do in between experiencing the “must-dos”, check out our 10 Free and Cheap Things to do in Tauranga and Mt Maunganui. And don’t forget to explore the nearby towns and their attractions – see 7 Top Things to Do in Te Puke and 11 Amazing Things to Do in Whakatane. Mt Maunganui is Tauranga’s most popular seaside suburb and a place you can’t miss when visiting Tauranga! Mt Maunganui is a settlement in itself packed with shops, eateries and accommodation. If you only get to do one thing in Mt Maunganui, make it walking up The Mount/Mauao – the volcanic cone at the end of the suburb. A walk to the top takes only about 15-30 minutes rewarding you with sensational views of Tauranga, Mt Maunganui Beach and the rest of the Bay of Plenty coast. Tauranga is a pretty-looking city thanks to the amazing art scattered throughout! Street art is abundant and a lot of fun trying to find on the walls of some of the obscurest places. Alternatively, there’s the Tauranga Art Gallery, a free gallery with ever-changing exhibitions to amaze and astound. You’ll also find sculptures around the city centre, particularly on The Strand. If you’re looking for the perfect city escape then look no further than McLaren Falls Park. At the entrance of the park, be amazed by a cascade of waterfalls flowing into the Wairoa River. The park has activities for everyone, with walking tracks, glowworms (seen after dark), camping, trout fishing, disc golf, kayaking, picnic areas, barbecues and more! 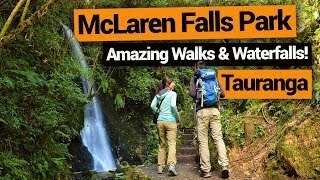 Location: McLaren Falls Park, off State Highway 29, 10 minutes drive from Tauranga. 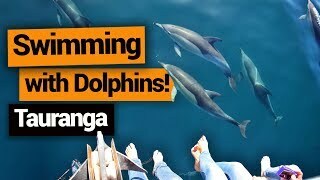 Just off the coast of Tauranga, the waters are teaming with dolphins! Join a dolphin cruise to either watch or swim with the dolphins! The dolphins seen in the area are the common dolphins, known for travelling in superpods! Your guides will provide all the wetsuit gear to keep you warm while you get to marvel at playful dolphins in their natural environment. Location: Tauranga Marina. Dolphin Seafaris operate during the summer. Seeing glowworms is on everybody’s New Zealand bucket list, right?! 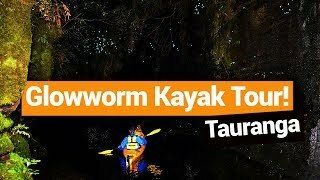 A unique way of experiencing New Zealand’s glowing oddities is on a glowworm kayaking tour in Tauranga. Glowworm kayak tours take you to Lake McLaren in the McLaren Falls Park for a lakeside picnic before paddling on the lake at dusk. By the time it gets dark, you will be kayaking down a narrow canyon filled with the twinkling blue lights of the glowworms. Want to see more glowworms? Check out 7 Places to See the Famous Glowworms in New Zealand. Location: Waimarino Adventure Park, 36 Taniwha Place, Bethlehem. Honey is a big thing in New Zealand, especially as it is the world’s leading producer in manuka honey! Learn about the fascinating work behind the beekeeping process at Mossop’s Honey. See live bee displays and try some free samples of honey. Play in the treetops at this aerial obstacle course just outside of Tauranga. Adrenalin Forest has more than 100 challenges to tackle across six different levels – each getting higher and harder! Zipline, climb and jump from at least 20m above ground on this course which can be enjoyed at least in a couple of hours! Location: 30 minutes drive from Tauranga. TECT All Terrain Park, Upper Pyes Pa Road. Tauranga has some of the best dining experiences in New Zealand, especially when teamed with the amazing waterfront views. Find a great selection of restaurants and bars on The Strand. Alternatively, Wharf St Dining Precinct is growing in popularity with some amazing culinary experiences. However, you don’t need to be loaded to have a great bite to eat in Tauranga – just check out our Cheap Eats in Tauranga and Mt Maunganui. Enjoy 16km of golden-sand beach in the largest suburb of Tauranga, Papamoa. 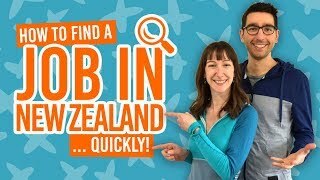 It’s a popular holiday destination for Kiwis and for good reason. Either head to the beach or enjoy hikes and mountain bike trails in the Papamoa Hills. There are even opportunities to try something unique like blokarting – wind-powered go-karts. Or just kick back with some spectacular shopping malls and cafes. See what else you could get up to with this list of 7 Awesome Things to Do in Papamoa. SUP is becoming more and more popular in New Zealand, especially when there’s so much to discover along its waterways and coast. Tauranga and Mt Maunganui are some of the best places to try out this fun yet relaxing sport for yourself with SUP lessons on offer. Either paddle alongside the beautiful white sand of Mt Maunganui’s Main Beach or circumvent The Mount/Mauao revealing hidden beaches and seeing all kinds of fish along the way.